Pride in London, organiser of the capital's annual Pride event, has hired Talker Tailor Trouble Maker to handle PR and earned media. Eulogy handled PR for the 2018 event. In addition, ad agency BMB has been retained to work on the project. Last year, the agency produced the Over the Rainbow film for Pride in London (below), which reached more than four million people and was shown on Channel 4, as well as on the big screen at Piccadilly Circus on the day of the Parade. It was the first time an audio-synced campaign took place with Landsec and Ocean Outdoor. Organisers said Pride in London’s 2018 ‘Pride Matters’ campaign reached half a billion people on social media, and more than 200 million through traditional media. Pride in London has also appointed Tom Stevens, head of marketing for the Internet Advertising Bureau, as its new director of marketing for 2019. In 2018 more than a million people came to support Pride in London, the organisation said, with 30,000 people marching in the largest Parade to date. 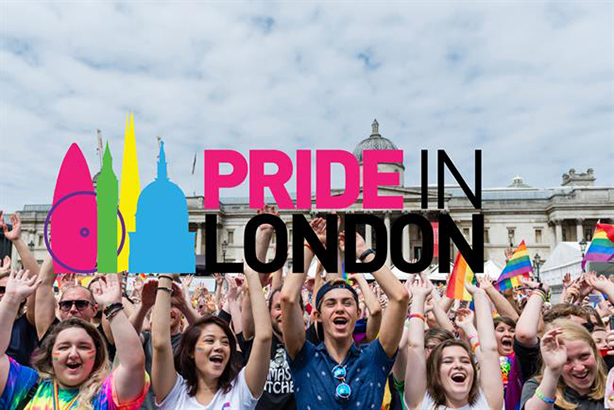 This year’s Pride in London Parade takes place on Saturday 6 July alongside entertainment and campaigning in Trafalgar Square and Soho. Pride in London comms director Asad Dhunna, who is also founder of PR and marketing agency The Unmistakables, said: "We are very grateful that every year we get agencies clambering to work with our rambunctious team to help put on London’s third-largest annual event. This year was no different and it speaks volumes about the Pride movement to be in this position. "BMB made us all cry last year with their video, so we were desperate to have a bit of that again for the next 12 months. We think combining them with Talker Tailor Trouble Maker will form the perfect duet of impactful strategy and creative with excellent earned media prowess". Steve Strickland, founder of Talker Tailor Trouble Maker, said: ‘We are atingle partnering with such an incredible brand and group of people. Like us, Pride in London represents inclusion, diversity, freedom and a determination to make change, no matter how bloody tough." Eulogy chairman Adrian Brady told PRWeek: "Last year we ran the Pride in London campaign and we always engaged for a one-year piece of work. It was the first time communications and marketing had been used in a united direction, so it was great to be involved. Eulogy will always be a staunch ally of Pride in London."